The Hantei line is divine to the samurai of the Emerald Empire. With the blessing of heaven, the clans put their trust in this royal line to lead Rokugan to peace and prosperity. This is what makes Emperor Hantei XXXVIII’s recent edict so monumental. What events persuaded the Emperor to disrupt the natural order of things, and what has led him to the path he knows he must now follow? Join us today for the first of three fictions examining the monumental decision of Hantei XXXVIII, “Children of the Empire Part I” by D.G. Laderoute! “Children of the Empire Part I” opens shortly after the conclusion of “Tiger Stalks His Prey," focuses on the royal Hantei family, and can be downloaded here (6.2 mb). For context, be sure to read "Tiger Stalks his Prey" for background information, and "Imperial Gifts" for insight into the relationship between the crown princes. Join us next Wednesday for Part II of "Children of the Empire," and again on February 13 for the conclusion of the trilogy. 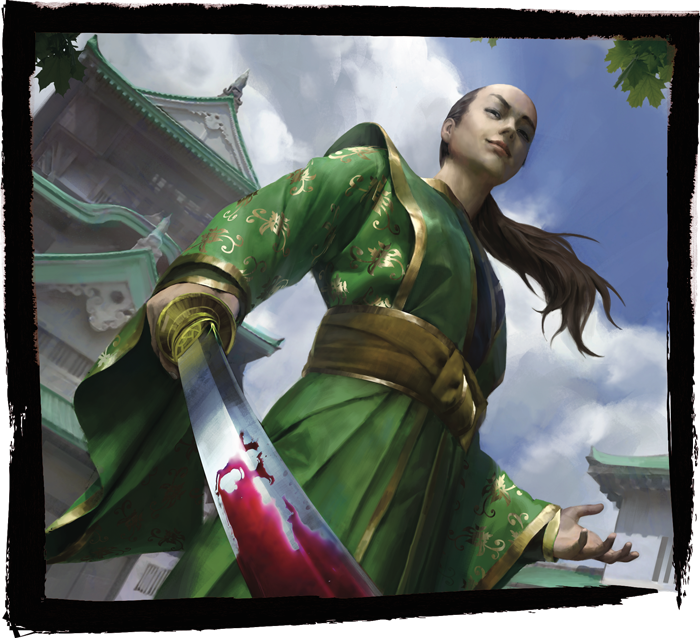 Don’t forget to pick up your copy of the Children of the Empire Premium Expansion for Legend of the Five Rings: The Card Game when it releases soon!